For the next decade, think tanks in the United States and Europe will be analyzing why an Islamist won the Egyptian presidential elections. To save them the trouble, I will give them the simple answer: the Egyptian voters did not vote for Mohammed Morsi as an individual or for his election platform. They did not watch his interviews to see where he stands on the Israeli-Egyptian peace treaty, women, Christians, etc. Those were the concerns of the West, but they were not the concerns of the Egyptian voters. The Egyptian voters did not vote for the Muslim Brotherhood nor did they care what it stood for. The Muslim Brotherhood was and still is, like Hamas in Gaza, a small minority which has no mass appeal. Then how one can explain why they won? Quite simply, the Egyptian voter voted for Islam. The West is being perceived as waging a war against Islam, and so the response is to empower those who are carrying the banner of Islam. The behavior of the Arab voter is emotional rather than rational. Campbell et al. in their book, The American Voter (1960), argued that ignorance and unreliability dominated the American (swing) voters. Likewise, this theory was true for the Palestinian elections of 2006 and the Egyptian elections of 2012, and accurately reflects the reality on the ground with regards to both elections. The Egyptian voter, like the Palestinian voter before him, is neither highly educated, nor is he a sophisticated rational voter. The West gave both voters more credit than they deserved. For instance, Western analysts explained the victory of Hamas as a rejection vote against the corruption of Fatah while in reality, that was far from the minds of the Palestinian voters. The Palestinian voters voted for Hamas because in their mind, they perceived themselves as voting for Islam and for those who were perceived as carrying the banners of Islam. Egypt’s new rulers are far from being elite. They belong to the lower classes, which are poor, uneducated, and have no prior experience in government and diplomatic affairs. Power will intoxicate them and money will corrupt them as it did to their colleagues in Gaza. But the important thing is not to put pressure on them to abide by a Western scale. Sporadic incidents may take place against Christians or women, but those incidents should be disassociated with official policy. Radicals will attempt to pull the new government to a confrontation with the West and Israel to draw it away from the middle. Here it is advisable to keep moderate Islam as the reference point and to empower it against radical Islamists. The best advice for the West is not to treat Mohammed Morsi as an Islamist, but as the elected democratic president of Egypt. 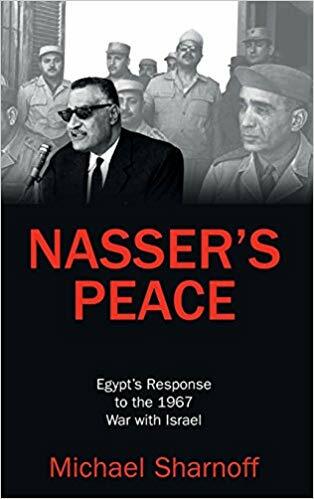 Thinking of him as an Islamist heading an Islamist party, and getting obsessed with his Muslim Brotherhood party as a ruler of Egypt would only lead the West down the slope of a deteriorating relationship such as what happened with Egyptian President Jamal Abdel Nasser. If the West insists on thinking of Morsi as a Muslim Brotherhood Islamist, and treats him as such, then it will be a self-fulfilled prophesy come true and he will behave like one. However, if they perceive him as a democrat president leading his country out of its social and economic difficulties to a new promising future then they may give him a chance to rule as a democrat.